Quadruple is a term that's not often taken aboard by managers of teams that possess the capability of achieving the unprecedented feat. Manchester City are certainly one such team, and Pep Guardiola is no different from coaches who have played down their teams' chances of accomplishing something similar in the past. Manchester City, the best ever team in Premier League history based on the unparalleled century of points they recorded in the league last season, are perhaps well within their right to believe that a trophy sweep is doable. Guardiola's dazzling bunch of artists are that good. 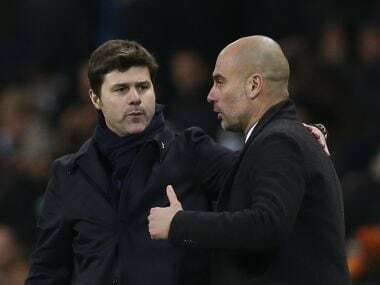 A word of caution though has always prevailed as Guardiola has looked to screen his players from the magnitude of the target they are chasing. 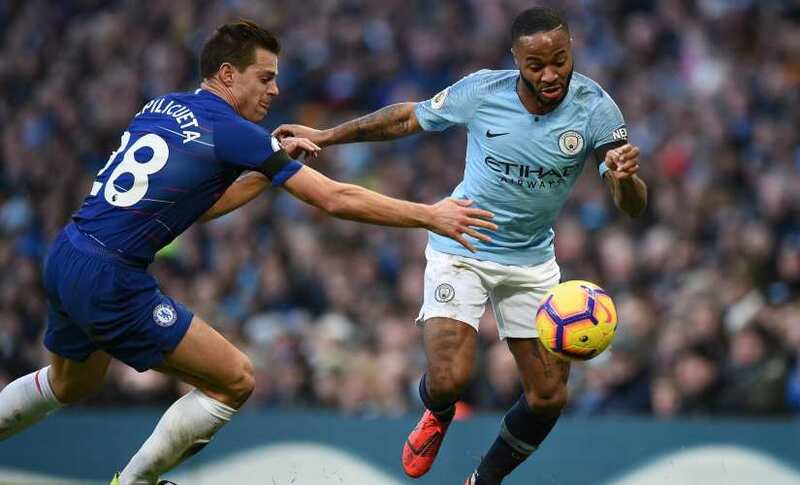 A few European giants aside, complacency and pressure are the contrasting hazards that Guardiola has employed to guard his troops against in pursuit of the trophy trail that's expected to begin against Chelsea in the Carabao Cup final on Sunday. 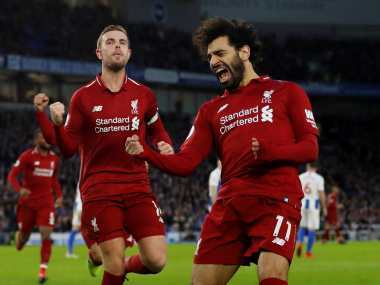 There has been an air of inevitability that has surrounded the outcome of the final ever since City pumped six past a hapless Chelsea in their Premier League meeting earlier this month. Since then, the Blues have exited the FA Cup at the hands of Manchester United. Manager Maurizio Sarri who not so long ago brought about City's first loss in the Premier League after making the best ever start to the season by a new manager has the proverbial axe looming over his head. Football has a habit of changing tides very quickly, and Chelsea will now hope that comes to their rescue on Sunday. Sarri spoke about a lack of confidence among his players after that 6-0 humbling at the hands of Guardiola's men and stressed the need to stay in the final for as long as possible. The Blues have been guilty of surrendering the early initiative to opponents especially on their travels and have shown little signs of a fight after that. If Chelsea are to avoid another embarrassment, let alone win the cup, a major shift in mentality will have to occur on the pitch. Sarri's pre-match preparation has had more emphasis on mental recovery that tactical preparation. He revealed after the Europea League game against Malmo on Thursday that he will only hold a 60-minute session for tactical preparation while affording them a day off so that they have a free mind ahead of the cup final. There's precious little that Sarri can change tactically in an hour-long session, so the Blues' chances would depend on their players playing with much higher levels of concentration and a stronger mentality. These qualities have been hardly alien to Chelsea sides in the past but appear distant for a group of players who seem to throw in the towel at the slightest increase in difficulty. Thus the pressure on the Italian who's trying to establish a new philosophy at the club that has mostly carried quite the opposite identity in the past seems unwarranted. A truncated pre-season and a fairly modest investment in players of Sarri's choice have hardly helped the former Napoli boss. Thus an ultimatum to defeat a well-accomplished team in top form to save one's job seems to be quite harsh, prompting many to use the "dead man walking" phrase for the beleaguered Blues boss. Chelsea, though, are masters of the cup finals. They have won 10 out of the 13 finals they been part of since Roman Abramovich took over the club and possess a pedigree in showpiece events that most envy. This record is a reflection of the ruthlessness of the club in major finals, and on Sunday, Sarri will have to hope the players revive the old Chelsea spirit at Wembley and engage City in a real contest. The Italian has constantly brushed away criticism directed at his system suggesting that the lack of determination and application from his players have been the reasons behind their recent slump. The Carabao Cup final would go a long way in showing where the real problem lies. Sarri's Chelsea will line up in a typical 4-3-3 system with Jorginho at the base of a three-man midfield. N'Golo Kante is likely to continue in his role on the right side of the midfield, a topic that has been a subject of widespread debate. Mateo Kovacic is favourite to land the third midfield spot ahead of Ross Barkley who had a torrid outing against City in that 6-0 humbling. 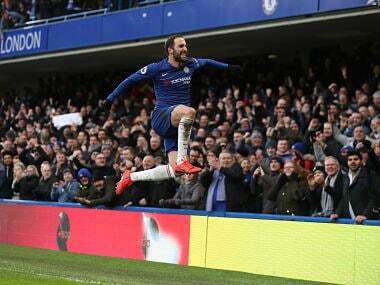 Up front, Gonzalo Higuain and Eden Hazard pick themselves, with Willian seeming likely to get the nod over Pedro who has struggled with an illness during the week. Kepa Arrizabalaga could return after sitting out of the Europea League clash against Malmo due to an injury. 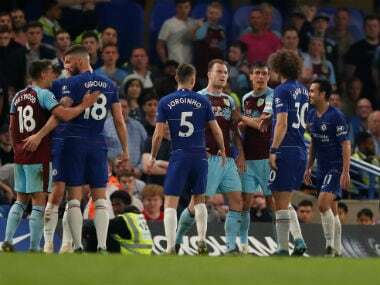 Ahead of him Cesar Azpilicueta, Antonio Rudiger and David Luiz are certain to retain their place with Emerson Palmieri pushing Marcos Alonso all the way for the left-back spot. City will dish out their much more fluid version of the 4-3-3 that changed to a 4-2-4 while in possession during their last game against Chelsea. Fernandinho, Kevin de Bruyne and David Silva are expected to form the midfield three behind Sergio Aguero, Raheem Sterling and Leroy Sane. Bernardo Silva remains an alternative for Guardiola. Aymeric Laporte and John Stones would be City's prefered centre-back pairing against the likes of Higuain and Hazard with Kyle Walker and Oleksandr Zinchenko flanking them. Manchester City and Chelsea's needs at Wembley are slightly different in nature. The holders are looking for consolidation while the Blues for salvation. A win would be business as usual for City, while a loss would be nothing more than a minor blip. However, for Chelsea, each game now has the potential to determine the future of the club and its manager. On the balance of it, Chelsea's need seems far more significant. On form and stability, City should be no match for their opponents but the Blues will pin their hopes on the old habit of making the big days their own.